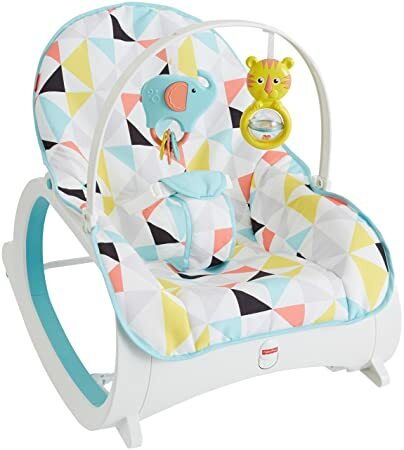 On Amazon.com you can now buy this 小孩摇椅 Fisher-Price Infant-to-Toddler Rocker in Windmill print on sale for just $28 (regularly $44.99) – lowest price! If you order from Amazon shipping is free. This infant rocker grows with your baby up through toddler years, with a maximum weight of 40 pounds. It has a removable toy bar with two toys, plus the seat has two different recline positions.